Do you want to learn everything about dropshipping? Do you want to learn how to private label? Could your life be better with extra revenue? 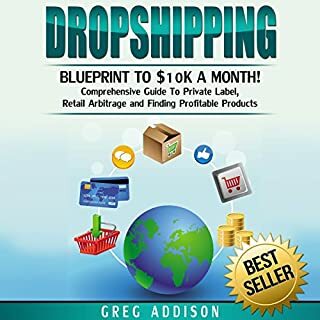 When you download Dropshipping: Blueprint to $10K a Month, your money-making skillset will improve steadily each day! You will discover everything you need to know about dropshipping. Awesome! Just like his other great books! Are you sick and tired of your nine-to-five job? Do you want your money making for you? Do you want your money on autopilot while you're out enjoying your life? 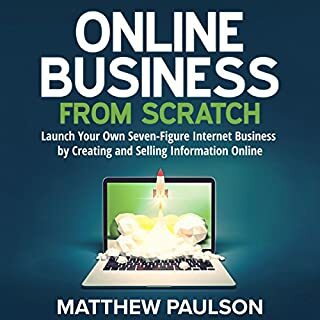 When you download Passive Income: 30 Strategies and Ideas to Start an Online Business and Acquiring Financial Freedom , your path to financial freedom will be closer than you think! You will discover everything you need to know about building a passive income business. These strategies and easy tips transform you from the dreaded nine-to-five job to living life the way it's supposed to be lived. You'll be able to travel more and work from home all while your money is making money. Did this info come from a amateur blog? Call me old fashioned I guess. I'm still shocked when I buy a book (however inexpensive it may be) and get a level of patchwork information one would find in lightly researched magazine articles or a blog post. I'm not claiming the author doesn't have experience, only that if he does, then he should focus a minimum of a chapter or two per specific subject, actually sharing his story of experience in that area, both bad and good. What you get is a rapid stream of advice across a broad range of subjects at shallow depth. It actually leaves that aftertaste of bitter naivety, as when a teenager gives you life advice in that ( life is so simple tone ) based on his high school experience. Well, ok I'm being slightly mean, there are some warnings about certain things that dip an inch or two deeper than the picture I'm painting here. To make this a 4 or 5 star listening experience would require a complete rewrite based on the show don't tell method of writing. And I'm sorry to say this Mr. Narrator, you don't have a voice for reading audiobooks. I feel really rotten saying that. But it's so so true... On the other hand if you take some voice lessons, build it up, put some bass in it, etc. you could have your own phenomenal success story, from handicapped to superstar sort of thing. Best wishes and luck on that. 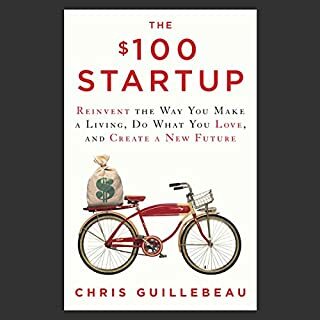 Has Passive Income turned you off from other books in this genre? It did make me angry about one thing. 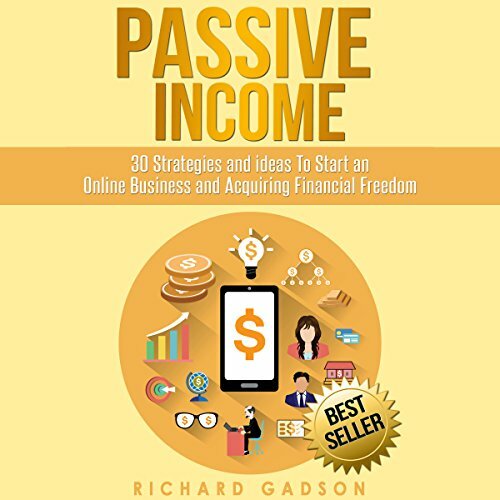 The claim that this book is everything you'll need to create passive income. It's barely adequate as introductory fluff for the naive, regarding the choices of passive income available. Well, that and the irritating fact that the first chapter is about online business, with constant admission that it's not really passive - especially at first. And it's not ever technically passive, and blah blah Uhhhh no kidding, who doesn't know that. I'm looking for information on PASSIVE prepare for retirement income. If I wanted to read about starting a business I'd have chosen a different title. As a start up entrepreneur launching a new startup and website, the ideas presented here are must do for any business. no human touch. I think this was read by a text to voice program. lazy and uninteresting. This book is quite useful to learn understanding the best way to earn.be placed. Nicely narrated and thanks. Nice book for financial planning. Nice book for financial planning and decision making. It gives wide knowledge in starting new venture and how to overcome difficulties. Lots of Tips and Guides are here. This book is informative and has a lot of helpful tips and guides that every subscriber should have. 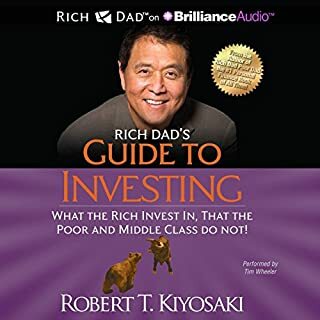 Great Audio Book for me. Great information. Easy to understand. Good resources. I found the content very interesting and informative. Kudos to Richard Gadson! I love this book,it is clear and informative. I love this Audio book,it is clear and informative I will be playing this book again and again. I found the narration very clear. 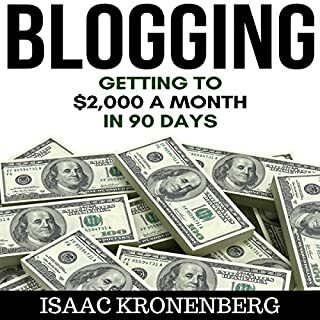 If you really believe that you should have financial freedom, then listening to this book would be the best decision of your life. I would not reveal the secrets here because I want you to find out by listening to this Audio book. 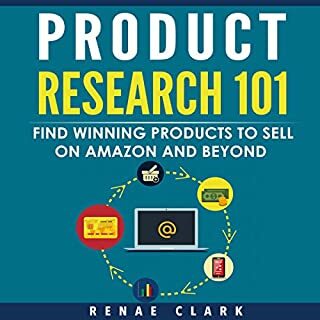 I would definitely apply all these tips and I would highly recommend this Audio book!